Regular readers of The Crafty Pint will have come across Nic Sandery before. He's amassed experience and knowledge beyond his years working at craft breweries large and small in Australia as well as spending time exploring beer cultures in many parts of the planet. These days, he's steadily building Molly Rose Brewing, the operation that takes its name from his grandmothers and inspired him to travel the globe seeking ideas, inspirations, techniques and ingredients for his beers. He's released a small number of very limited release beers to date, from a delicate strawberry sour and a delightful Brett saison to an IPA and a quite remarkable Japanese dark lager featuring cherrywood smoked malt and kombu. Along the way, he's spent time working with winemakers to understand their world and now has offered to become something of an in-house font of knowledge on beer for any readers who would like to learn a little more about the liquid in each glass, can or bottle they raise to their lips. Here, in his first piece, we start at the beginning with the ingredients that go into your beer – one ingredient in particular, the building block or backbone of every beer you drink: malt. The germination tanks at the now defunct maltings at Cascade in Hobart. Malt forms the basis of every beer. It is to beer as grapes are to wine and apples are to cider. The selection of malt and the way it is treated throughout the brewing process determines whether a beer will be dark or light, biscuity or chocolatey, sweet or dry. The purpose of malting a grain is to manipulate the natural process of the grain – in other words, the seed wanting to grow into a plant – to make the sugars it contains more readily accessible to the hardworking brewer. Malt can be made from a variety of grains, such as wheat, oats, rye and others, but when we are talking about beer it is mainly malted barley to which we are referring. People have been making malt using essentially the same technique for thousands of years but, where ancient people used to use pots and open fires to process grains into malt, these days the overwhelming majority of malt used by brewers comes from maltsters using precision technology in huge, impressive factories full of conveyors and robots. You will still find some operators, usually on a far smaller scale, using traditional floor malting techniques or creating means of malting grains to their own particular specifications in-house, such as Alistair Turnbull at Lobethal Bierhaus in the Adelaide Hills. As more brewers, particularly those with their own farms to play with, look to put provenance at the heart of what they do, expect to see more nano-maltings pop up. Steeping: The raw barley is soaked in large vessels where the grains swell as water content increases from around 12 percent to 45 to 50 percent. Germination: Once the grain senses the conditions are right, it begins to grow rootlets and an arcospire (a green shoot). The grains are moved around, typically in slowly rotating tanks, during this period to prevent matting of the rootlets and also to remove carbon dioxide from the beds of grain. 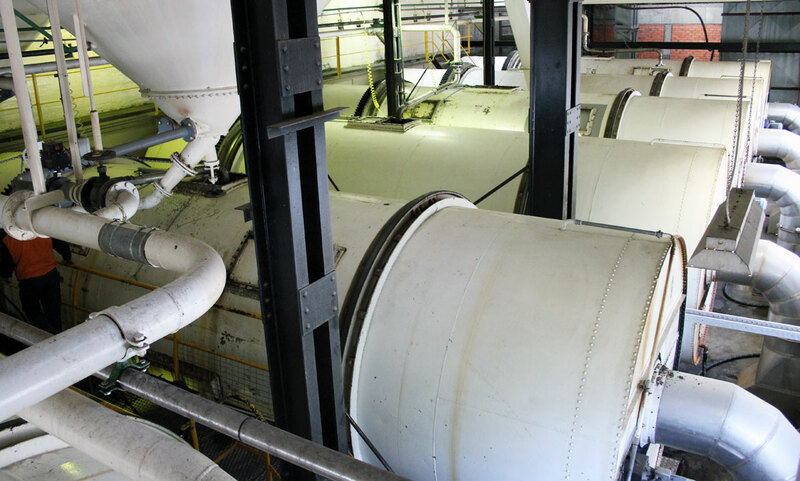 Kilning: The maltster kilns the grains once they have reached their optimal point of germination. This process serves two purposes. Firstly, it ceases the growth of the grain and, secondly, by adjusting the time, temperature and moisture levels, the maltster can manipulate the colour and flavour of the malt. 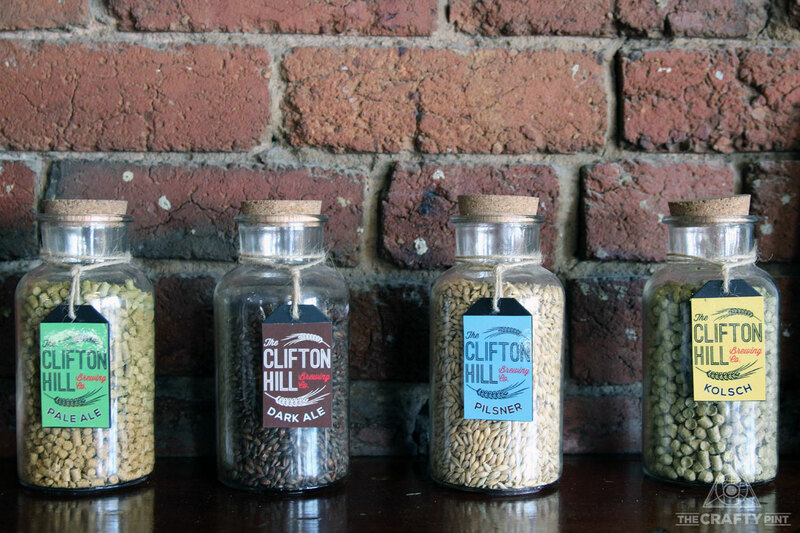 Jars containing two types of hop pellet (left and right) and roasted and pilsner malts (middle) at the Clifton Hill Brewpub. So, now that we have learnt what malt is and how it is made, we come back to the most important point: how does it show itself in beer? For this section, where certain types of malt used in brewing are described, a little homework is required. 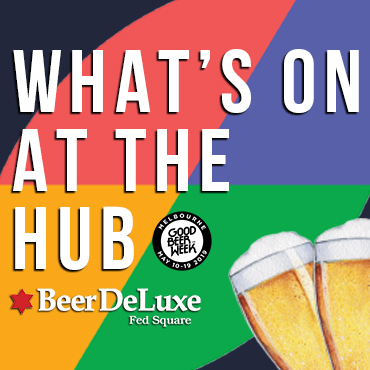 Seek out the readily available examples listed or something similar – your local independent good beer seller will be able to help – and appreciate the variance in malt flavours with your new found knowledge about the most important ingredient in beer. These malts generally make up 80-plus percent of malt bills, providing the bulk of sugar for fermentation. 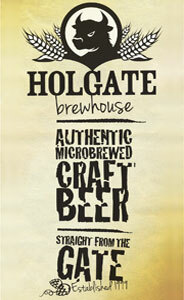 Pilsner malt is usually lighter in colour and ale malt generally has more of a biscuity note. 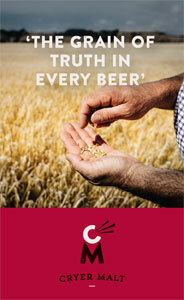 This beer highlights the delicious simplicity of well used pilsner malt. Soft, sweet, bready notes are left to shine on their own in this clean, bitter North German style pilsner, which took out Champion Craft Beer at the 2016 Craft Beer Awards. These malts are kilned with extra moisture so that the sugars in the malt are partially dissolved and caramelise inside the grain. At the lighter end, these malts provide sweet caramel notes and towards the darker side they start to show rum and raisin, chocolate, dark fruits and burnt toffee notes. Crystal and caramel malts also lend amber, red and darker hues to beer as well as lifted body and mouthfeel. These are used in amounts from as little as 1 to 2 percent in pale ales up to 30 percent in darker, richer beers. The blend of caramel and toasted malts gives Jasper its beautiful ruby colour and its caramel and nutty notes. The use of these specialty malts also give Jasper a rich full body that carries the hop bitterness and flavour. Kilned at a higher temperature, these malts can show flavours that vary from bready, toasty and biscuity through to chocolate, coffee and even a charred character. You'll find them used at levels less than 2 percent to add colour and up to 20 percent for full flavoured beers, such as stouts and porters. The refined use of roasted malts in this beer make it a great example of how roasted malts can add layers of complexity and flavour without being overpowering. Look for hits of chocolate and coffee, which back up the full body. A great beer, one that took out the Champion title at the 2017 Sydney Beer & Cider Awards, to try as your first dark beer of the season or to give to a non-dark beer drinker with a blindfold. Malted oats, rye and wheat are all commonly used in modern breweries, while brewers of gluten free beers (a topic for another day altogether) will make use of grains such as sorghum and millet. In the case of oats rye and wheat, all three add palate weight and a smooth mouthfeel. While oats and wheat do not usually add much in the way flavour, rye can add a spicy complexity. With the inspiration of this beer coming from a one-off named Oaty McOatface, it is fair to say that oats play a decent role. With the clever folks at Two Birds using both malted oats and rolled oats (aka porridge) in their Pale, you can look out for a plush and smooth mouthfeel that holds up the hefty tropical hop notes. Up until clean burning fuels were available, when malt was kilned it was normally done so over an open fire. The malt would pick up the smoke character of the wood it was kilned with and this would be transferred onto the beer. Even though clean, smoke-free ovens are now used to kiln malt, some maltsters make smoked malt as a throwback to older times. Some of the wood types typically used to smoke malt are beechwood, oak, manuka and cherrywood. Simply one of the best beers in the universe. 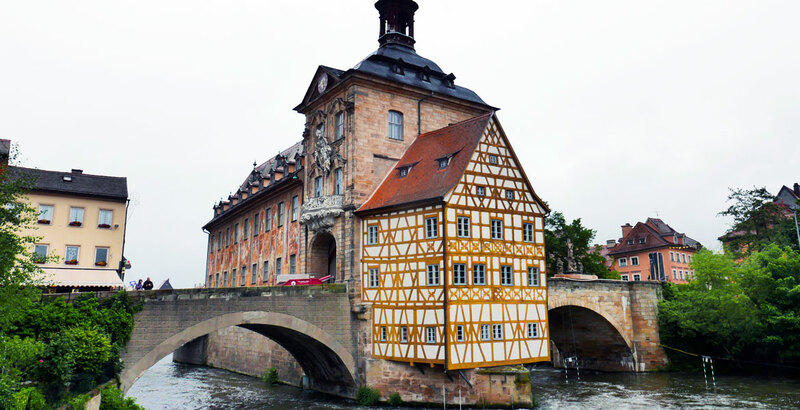 This traditional “Rauchbier” (smoke beer) from Bamberg in Bavaria (pictured) shows the complexity that smoked malt (beechwood in this case) can add to a beer, while it still remains balanced and extremely drinkable. A great food beer, but also excellent all of the time. While this doesn't tell you how those malts go from being, well, malt to delivering such aromas, flavours and colours in your beer – we'll get to the brewing process once we're done with ingredients – it should give you an understanding of the role they play (or, at least, some of the roles malt plays). 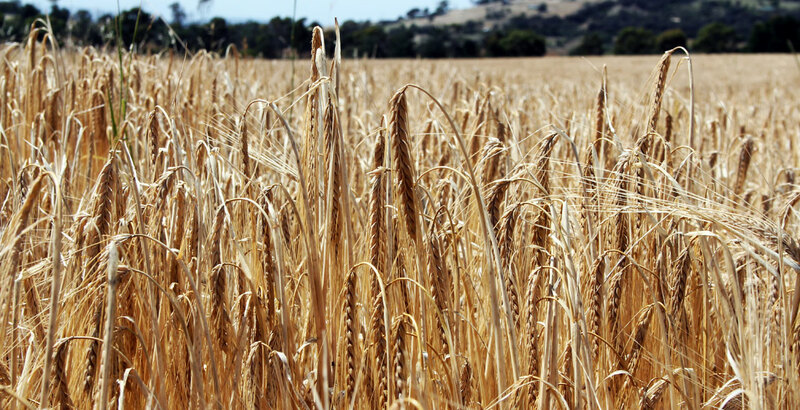 If you're keen to learn more about malt in beer, you can check out this section of How To Brew, which features more technical information on malting and the biochemistry involved. Then there's Malt by John Mallet, who was in charge of the iconic Bells Brewery and their malting in the US. It's a great book with lots of in-depth info about the production and history of malt as well anecdotal descriptors of the use of malt to get desired flavours from brewers around the world. You can find our more about Nic's prowess with Molly Rose here and also check out his other articles – travel and otherwise – for us here.